After the colossal box office failure of 1993's Super Mario Bros., which took in just $20.9 million from a $48 million budget, Nintendo closed its doors to Hollywood, vowing they would never again license their video game properties for a movie adaptation. Over the past few years, however, the studio did allow some of its characters to appear in movies, with Super Mario Bros. character Bowser appearing in Disney's Wreck-It Ralph, and Donkey Kong, Mario himself and the Duck Hunt dog appearing in Sony's Pixels last year. There have also been rumors that the company is slowly but surely eyeing adaptations of their video games. Now we have more details from the president of Nintendo, Tatsumi Kimishima. During an interview with Japanese newspaper Ashai News, Tatsumi Kimishima teased that the company is in talks with unspecified partners to create movies based on their properties. 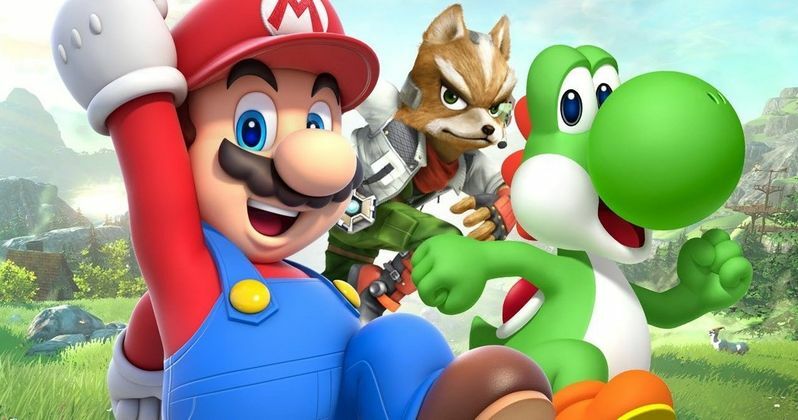 The executive wouldn't specify what studios or production companies Nintendo is in talks with, nor would they reveal what games may be adapted to the big screen. He also revealed that, instead of just licensing their properties out, they want to create these Nintendo movies themselves. "Now, we're talking to various partners. In the not too distant future, I'd like to get some sort of form ironed out....But this time, rather than licensing, our current thinking is that we'd like to do as much as we can ourselves. It doesn't necessarily need to be Hollywood and once it's been decided where it will be, then at that time, we can talk about it. However, I want to do this thing together with a partner who is able to take things globally." When asked about the ill-fated Super Mario Bros. movie, the executive admitted that the "box office receipts weren't so good" on that project, which lead to another big revelation. Since they've "done" a live-action project before, the studio is eyeing animated movies based on their hit games. Here's what Tatsumi Kimishima had to say below, when asked if the company is eyeing the Disney/Pixar model for animated movies. "We've done that (live-action) before, so probably not a live-action one. Because we have IPs, we're thinking we could also do something like that (Disney/Pixar). It is something to keep in mind as we make all this concrete. I cannot definitely say this year, and we're currently in talks. If funds flow in this year, I'm saying I'd like to put that money to use, and I'm not saying I'd like to use it five years in the future. I want to implement that before then." The "funds" he's referring to is Nintendo's impending sale of their majority stake in the Seattle Mariners Major League Baseball team, which will apparently be used to finance these unspecified movies. When asked if the company's first projects out of the gate would be based on either Super Mario Bros. or the wildly popular Legend of Zelda franchise, the executive wouldn't give any specifics, but he did say that they want to use an intellectual property (IP) that fans all love. "I want to use an IP that is popular with everyone. But, I'm not saying it's going to be Super Mario, I'm only saying we'll put out something that everyone knows very well. We're certainly aware that there is an immense demand for that one (Zelda)." There have been recent rumors that a Legend of Zelda TV series is happening at Netflix, although that was out right denied by Ninetendo as false. Back in February, The Lego Movie producer Roy Lee revealed that he would love to make a Lego-inspired movie univrese with Nintendo characters such as Mario, Link and Zelda, along with a slew of others from the Nintendo library. The producer admitted that he doesn't have the rights to those properties, but he added that the project would be his "Holy Grail." We'll be sure to keep you posted with any updates on these long-awaited Nintendo movies such as The Legend of Zelda.